Depending on where you shop and what manufacturer you are considering, resin sheds may also be called plastic sheds, vinyl sheds, or high-density polyethylene sheds. (Lifetime sheds are made of high-density polyethylene.) 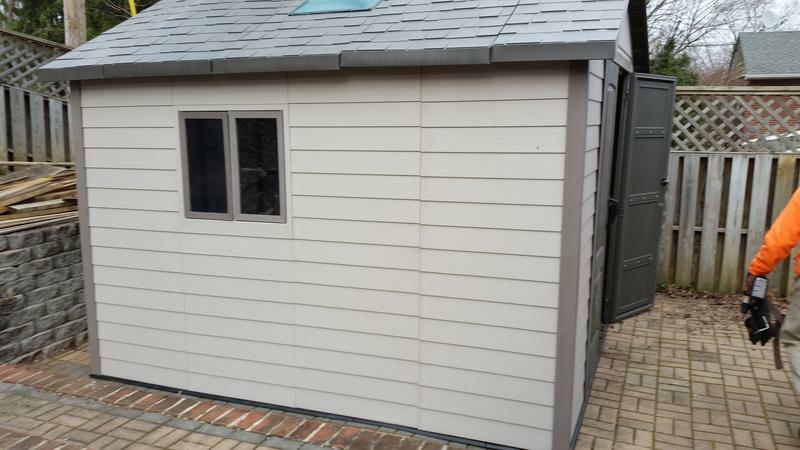 Resin sheds are the newest type of sheds on the market and are quickly becoming the most popular choice of shed for several reasons. Resin sheds are made of a high quality plastic material that makes the sheds lighter, yet stronger and more durable than wooden sheds. For ultimate strength and durability, some manufacturers like Lifetime also use integrated steel supports and a double-wall - versus just a single-wall-resin panel construction. Resin sheds are basically maintenance free; they are stain-resistant and UV-protected so they will not crack, fade, rot, or rust, and they never need painting or staining like wood or metal sheds. Resin sheds kits are available in a variety of sizes and some manufacturers, including Lifetime, offer expansion kits to customize the shed to even more size options. Resin sheds are by far the easiest type of sheds to build. These kits are very quick and easy to assemble with less tools, less time, and less "carpentry knowledge" needed than with a wooden shed. Resin shed kits are less expensive than their wooden shed kit counterparts, but more expensive than metal shed kits. 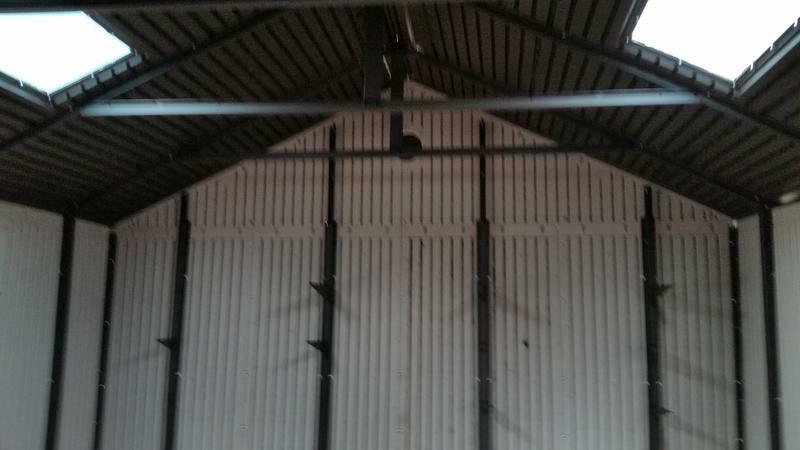 While resin sheds are extremely strong, they cannot bear as much weight hanging from the walls as a wooden shed. However, some resin models do include an overhead loft area which allows you to your store more items in the same footprint. Resin sheds are very attractive and decorative with their neutral colors and simulated wood-textured panels, but they cannot be painted or shingled to perfectly match your house. However, they do allow for easy additions of upgraded accessory options like skylights, windows, lighting, shelving, and peg strips with no additional wiring, cutting, or drilling needed. And, they have a clean finished interior with the plastic wall and floor panels. A wooden shed is the most traditional type of shed and can be completely customized to create a very specific size or shape. They can be painted any color to match your house or surroundings, and they can easily be dressed up with unique features like cupolas or window flower boxes. They can also easily be customized inside, as well. Multiple shelves and cabinets can be hung from the walls and the overhead loft areas to provide extra storage area. A metal shed can be made of either steel or galvanized aluminum. 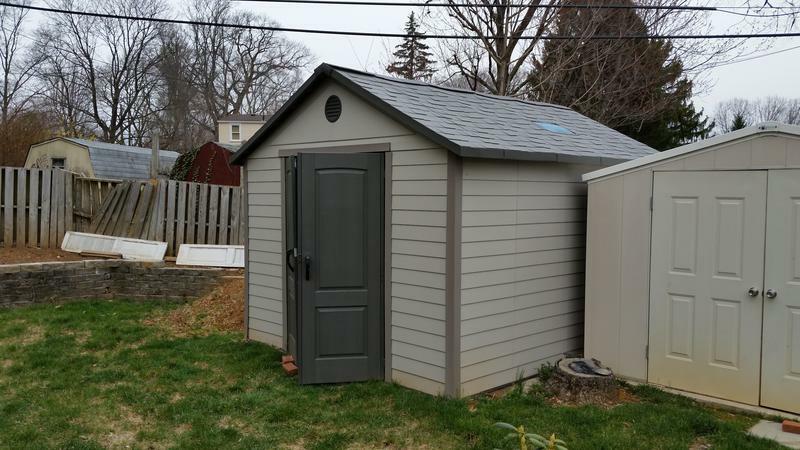 Metal sheds have been available for many years and are a common first-time shed purchase because they are the least expensive shed kit option. However, they are not as strong as resin or wooden sheds. Therefore, if your shed will be built in a stormy area, you may want to consider purchasing an anchoring kit to ensure it stays in place. Metal sheds are also very susceptible to denting and rusting, especially on the frequently used door area. You know you want a shed. But, before you start shopping for shed materials, make sure you've done your homework. If you know the answers to these quick tips you'll be able to pick a shed that best meets your needs and adheres to proper codes in your area. 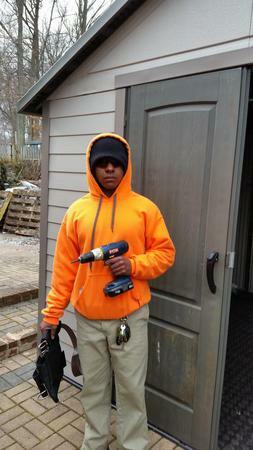 Check the restrictions or covenants your neighborhood has for building sheds. For instance, many cities and neighborhoods will dictate the specific distance from a property line or fence line that a shed must be built. This may determine what type and size of shed you can build. Also, do you need to submit any architectural forms to your neighborhood HOA or acquire a building permit from your city? Think about how you are going to use your shed to help determine what size of shed and features will work best. Are you building a shed for a workshop or gardening where you plan to spend a lot of time in the shed? If you're going to spend a lot of time inside, be sure to think about lighting, ventilation, and roof height needs. Many sheds have extra features like windows that open and full-length roof skylights. Or, is it simply for storage? If it's for storage, what kind of storage? Large lawn equipment and hanging tools? Outdoor toys, bikes, or pool equipment? Or extra "attic" type items like clothes and holiday items that are stored in bulky containers? Do you need customizable shelving, hooks, or overhead storage space? Also keep in mind how you will use the shed to help determine the type and placement of shed doors that will work best for you. If you are storing large lawn equipment, be sure to look for sheds with double doors that open wide. Do you need your doors to be on the shorter side of the shed to give you more straight and deep "parking" space inside, or on the longer side for easier access to all items? Sheds kits are available in almost every size. Always plan on a bigger size than you think you need. 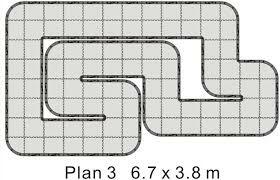 For general storage, evaluate your current spatial needs and increase it by 25% to accommodate future storage needs. Just remember, some neighborhoods may have covenants preventing you from building something taller than the fence line so always double check. The most important part of your shed, regardless of what kind or size of shed you build, is your foundation. Your shed must be built on a level surface or it will not assemble properly. We recommend a cement patio, compacted road base, or creating a pad with compacted pea gravel. Be sure to wait and build your foundation until after you've purchased your shed kit. Some manufacturers will include step-by-step instructions for how to build a foundation specifically sized for the shed you purchased. If your shed does not include foundation instructions, be sure to do some research to learn how to properly build a level foundation. And, make sure your shed is not in a low-lying area to prevent water draining into your shed. The final consideration is what type of shed material you prefer. Basically, there are three options: wood, resin, or metal. Each material offers different advantages. If you don't have a lot of garage space, you may want to consider installing a large storage shed in your backyard. Whether you're looking to store lawn tools such as your lawn mower, garden tools or edger or you need a place for the kids' toys, a storage building can offer the ideal solution. 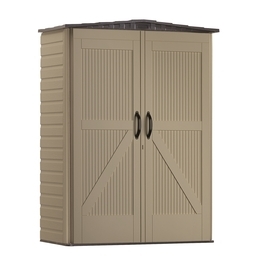 Organize your backyard with large storage sheds. Demolition, excavation, and site preparation - costs will vary according to the level of work necessary. 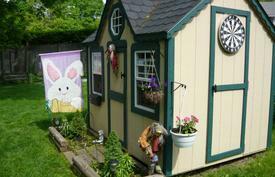 Many store-bought sheds come without a floor kit or are only offered as optional purchases. The relatively flimsy framework can warp and will not last long unless they are secured to a firm, flat and stable base. Options include a tamped down gravel bed or concrete slab. However a gravel bed won't keep out moisture and a concrete slab is often beyond the capacity of most DIYers. A better option is to build a pressure-treated wood frame placed on top of a gravel bed or built on concrete blocks if the terrain is sloping or uneven.